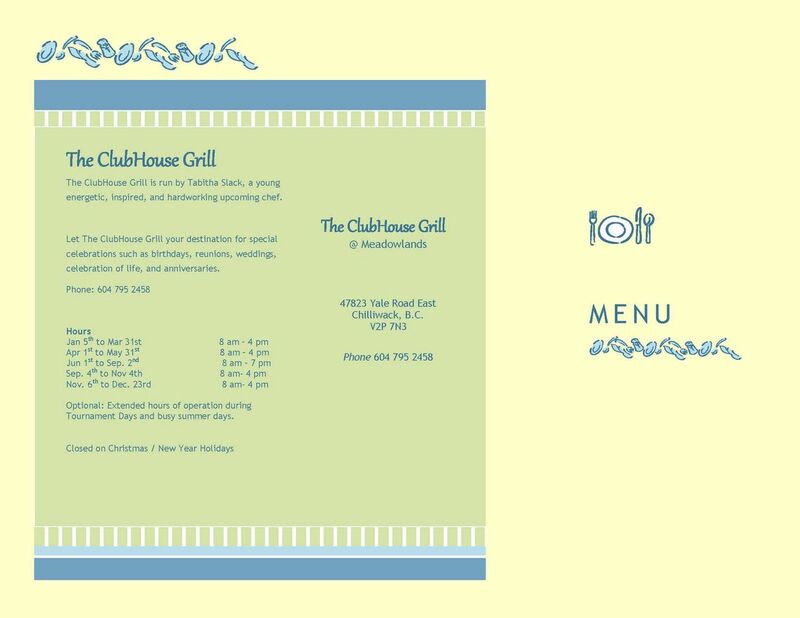 Meadowlands Golf & Country Club is proud to announce our new restaurant – The Clubhouse Grill. Join us for classic breakfast options, tasty soups and sandwiches and our fresh and flaky fish and chips. Please note the following updates to The Clubhouse Grill hours of operation. If you’d like to download a pdf copy of our menu, click here. 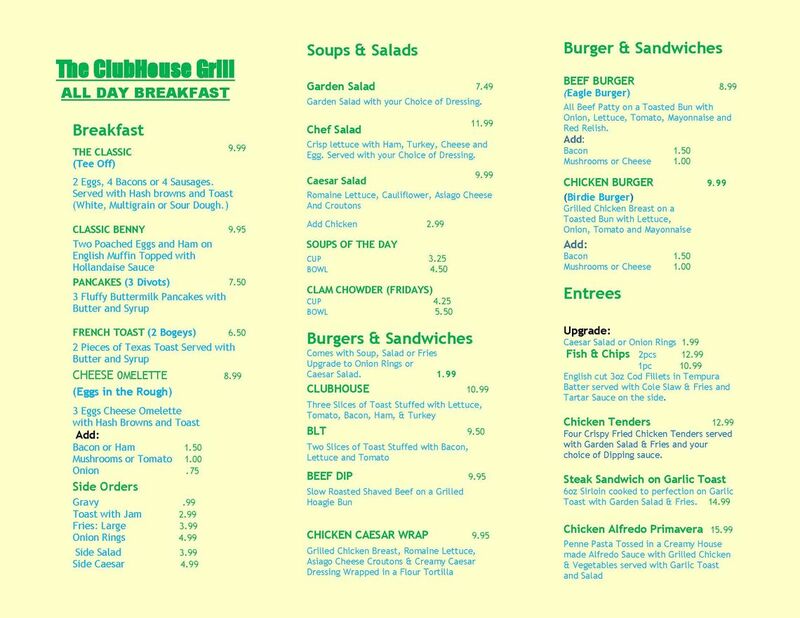 The Clubhouse Grill has made some changes on the menu. Please phone ahead for the updated menu at 604-795-2458.